Perfect for charging your Samsung Galaxy Note 8 and syncing files, this official 1.2m bulk packed Samsung USB-C to USB-A cable provides blistering charge and transfer speeds and also supports adaptive fast charging. Works just like my original one! Working as well as my original cable so far. Fast charging ! The 1.2m cable is compatible with all devices with a USB-C connector, such as your Samsung Galaxy Note 8. With more and more devices now coming with the USB-C connection, this cable is able to provide your phone with blistering transfer and charging speeds. This Official Samsung USB-C cable can handle fast charging speeds so your Samsung Galaxy Note 8 is ready for action and of course is also compatible with Samsung's own Adaptive Fast Charging technology. 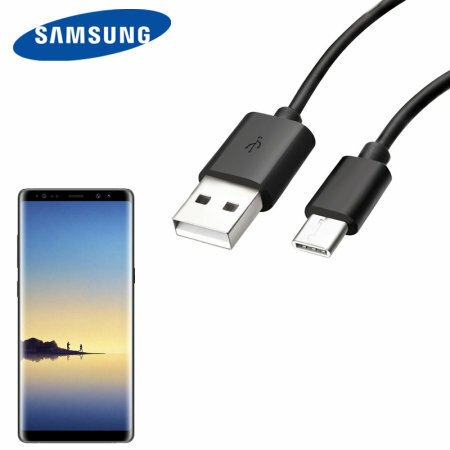 Suitable for syncing data between your Samsung Galaxy Note 8 and computer, this cable provides extreme transfer speeds that allows you to quickly copy pictures, movies and much more.